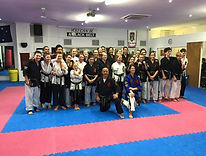 Edge Martial Arts has been providing martial arts tuition to students of all ages in Mount Evelyn, Victoria since 1989. Our School encompasses many forms of martial arts drawn from a variety of styles that make us one of the best centres in the eastern region. We specialise in teaching Mixed Martial Arts, Muay Thai Kickboxing, Weapons, Personal Fitness for all ages, and Ju Jitsu. Edge Martial Arts has produced many fine outstanding and award winning martial artists throughout our history. We are a full time centre with wall to wall matting, up to date modern equipment, specialised areas, great facilities and so much more. 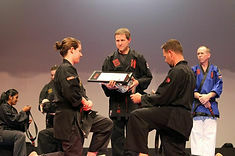 We provide the best quality martial arts instruction from our professional instructors who are fully certified and accredited who make our classes challenging, exciting, empowering and educational. Edge Martial Arts offers regular events throughout the year such as, student of the month awards, special birthday greetings, social award evenings, tournaments, yearly camps and much more. Our goal is to assist you to be the very best you can be. To provide to our community through the positive personal development skills of our martial arts training. To provide a safe environment, positive energy and support for our students. To provide inspiration and personal excellence through our example as black belts, both in and out of our martial arts school. To ensure long term growth of the school and its staff, by providing outstanding customer service.